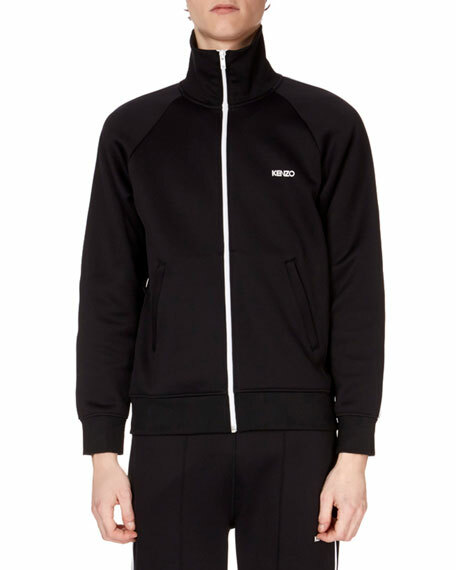 Kenzo track jacket with contrast trim. Small logo embroidered on chest. Adidas x Pharrell Williams track jacket with patterned woven panels. From the SOLARHU Collection, inspired by the raw spirit and style of East Africa. Baseball collar; zip front. Side slip pockets. Straight hem. Cotton/polyester. Cotton trim. Imported. 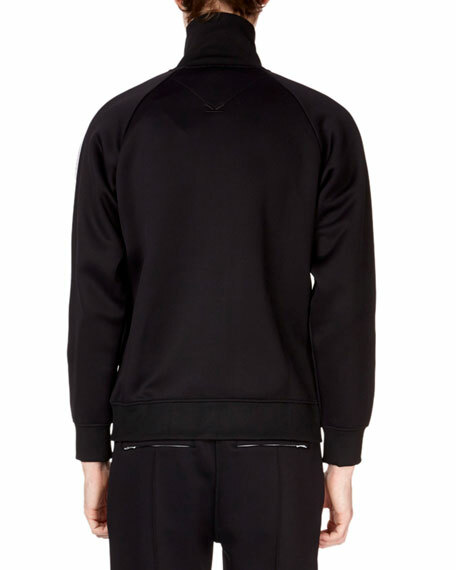 Dsquared2 sweat jacket with metallic side-stripe. Drawstring, hooded neckline; zip front. Side slip pockets. Straight hem. Polyester/cotton. Cotton lining. Made in Italy. Fendi colorblocked track jacket with signature FF stripes. Stand collar; zip front. Side zip pockets. Straight hem. Cotton/nylon/polyester/spandex. Cotton/polyester trim. Iceberg track jacket with logo taping. Stand collar; zip front. Side slip pockets. Straight hem. Polyester/spandex/nylon. Imported. Model's measurements: Height 6'1"/185cm, waist 32"/81cm, typically wears size M.